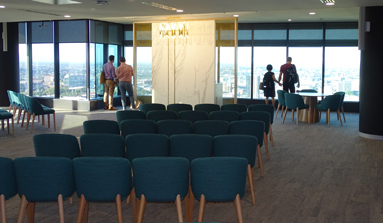 Located in the heart of the Brisbane CBD, our modern, architecturally designed ceremony rooms have panoramic mountain-to-bay views. ceremony room 2 seats up to 30 guests. To book your ceremony at the Brisbane registry, request an interview appointment. Look at our gallery to imagine your ceremony with us. A registry wedding can also be held at selected courthouses throughout Queensland. Contact a magistrates court directly to see if they have this service available. The Brisbane Magistrates Court does not hold wedding ceremonies. Before you can book a ceremony date, we need to discuss your plans. If you can't speak and understand English, you need to bring someone who can translate for you. tell us if you have any special requirements (e.g. wheelchair access). To see our venue, come to one of our ceremony rooms showcases. This online service allows you to choose the date and time of your interview. You will be asked to give your name, email and mobile number to book your interview, and you will get an email to confirm your interview appointment. The email will also allow you to easily reschedule or cancel your booking, if necessary. Please note: bookings require at least 2 business days' notice. We will be closed Thursday 25 April for Anzac Day. We will re-open on Friday 26 April at 8.30am. I understand * Calendly.com stores its information on servers in California in the United States of America. By using Calendly.com to book your interview, you are consenting to the transfer of your personal information to the United States of America. The Department of Justice and Attorney-General, Registry of Births Deaths and Marriages is collecting your personal information for the purpose of facilitating your interview booking online and for contacting you in relation to your booking. Your personal information will not be used or disclosed for any other purpose unless authorised or required by law. 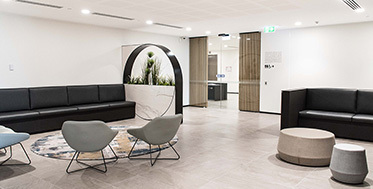 Your personal information will be handled in accordance with the provisions of the Information Privacy Act 2009.
visiting the Brisbane registry customer service centre at Level 32, 180 Ann Street, Brisbane. We do not conduct ceremonies on Wednesdays. Evening ceremonies are booked from the first available time for the date you choose. A registry wedding in Brisbane is an affordable way to get married. To secure a time and date for your ceremony, you will need to pay the applicable fee. The cost of your ceremony does not include a standard marriage certificate unless you book a Friday or Saturday evening ceremony. You can change your wedding date once for free if you contact us about the change at least 2 weeks before the ceremony date you have booked. If you change your ceremony date more than once, you will need to pay an additional booking fee. divorce or death of any former spouse (i.e. divorce document or death certificate), if applicable. You need to show us your original documents, as we can't accept certified photocopies. For original documents that are not in English, you must also provide a translation from a translator accredited by the National Accreditation Authority for Translators and Interpreters (NAATI). Look at our gallery to imagine your ceremony at the Brisbane registry. We’re opening the doors to our ceremony rooms. Find out how to get a birth certificate from an interstate or overseas registry. Read more about what you need to do if you have been married before or if you are getting married.